Platinum sealed in glass tubes inserted securely in a rubber stopper. 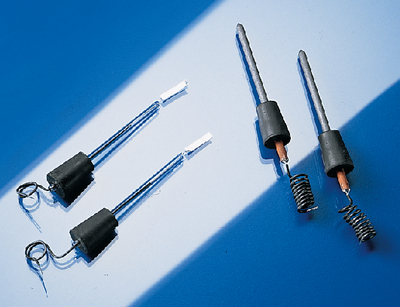 Electrodes fit standard electrolysis tubes. It has a rubber stopper No.1 with 18 gauge copper wire.